Hello our dear friends! Every day we are asked a number of questions by customers when arranging Annual or Single Trip travel insurance cover. So, today we have prepared for you the list of top 10 most frequently asked questions about travel insurance. Q.: Why do I need travel insurance if I am only travelling within Europe? A.: The rules regarding free medical expenses cover are quite complicated even for visitors to the UK. The EHIC Card does not substitute the travel insurance as the card will not always cover you for all medical costs, nor will it cover the cost of relatives flying out (and back), their accommodation, or the money it will cost to get you back home when you aren’t fit to travel. Q.: Can you cover my pre-existing medical conditions? A.: We have a long list of medical conditions such as Asthma, Diabetes, High Blood Pressure etc. that are automatically covered by the standard policy (you could find the list by navigating to the pre-existing medical conditions section of our website). To learn about the cover for other medical conditions feel free to call our Medical screening Service. Q.: Is there any extra charge to cover hazardous activity, for example, Freestyle Skiing? A.: Most hazardous activities are covered as standard. Higher risk activities can often be included for an extra charge. Take a look at a full list of hazardous activities given on our website. Q.: I am flying to UK to connect to another flight to my holiday destination. Are both flights covered for Delay and Missed Departure? A.: Yes, Globelink will cover both flights whilst most Travel Insurance policies only give cover for the original outward flight. Q.: If we live in Spain can we still arrange Travel Insurance? A.: Yes. Most travel insurance companies will only cover people who are permanent UK residents. Globelink will cover people who live in all European Union plus Iceland, Liechtenstein and Norway. ensuring that they are properly insured for the entire return trip, including Cancellation, Repatriation and missed transit flights if travelling via UK. Q.: Am I covered for Emergency Repatriation? A.: The cover under the policy includes the cost of return to your country of residence in the European Union by air ambulance or other appropriate means if medically necessary. Q.: What is the maximum amount of time I can travel on a Single Trip Policy? A.: A return journey of up to 18 months if you are aged up to 65 and 6 months if aged 66 to 85. Q.: What is the maximum duration of any trip I can take on an Annual Multi-Trip Policy? A.: You have the option to select cover for an unlimited number of individual trips of up to 17, 31, 45, 60, 90 or 120 days. Policies with trip durations of 45 days or more will also include 17 days Winter Sports activities free of charge for people aged up to 65 years old. Q.: Can people with an annual multi trip travel independently? A.: Yes, adults can travel independently. However, children must travel with one of the adults. Q.: Do annual policies cover travel in my Home Country within the European Union? A.: You will be covered for traveling within your home country for trips that include at least two nights pre-booked accommodation. However, there is no cover for medical expenses arising in your home country. 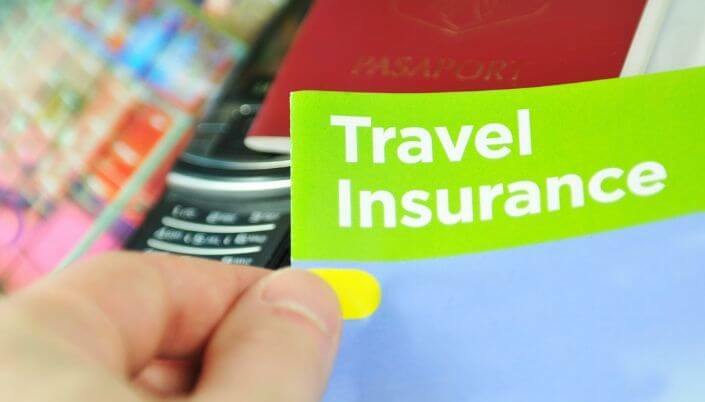 We hope our answers will help you in arranging your next Travel Insurance policy. If you still have questions don’t hesitate to contact us at globelink@globelink.co.uk or call us +44 (0) 1353 699082.